Photo credit: Traci Lawson, CC BY 2.0. Money tends to make me happy. Especially when it arrives in my mailbox in the form of a check that I can deposit, or as a notification on my Chase app, or as an email from PayPal telling me that I’ve finally been paid. But this year money has made me cry. Ugly cry. Sit on the floor with my hair everywhere and snot dripping out of my nose as if the multi-talented protagonist of a melodramatic anime had just announced their terminal illness kind of ugly cry. It began in January when I took the L train to 3rd Avenue and hobbled to a bus that took me to Bellevue Hospital. I half-crawled into an emergency room, handed the woman my medical insurance card, and proceeded to be checked by a doctor—who then cut me open a few hours later while a medical student held my hand and tried to distract me from the second and third slice. Cysts are quick, if painful, so I was able to go back home that same day. Four months later, as I was getting ready for a date, I checked the mailbox and saw a letter from the hospital. I opened it and was floored by the almost $2,000 bill. Over $1,200 of that was literally just for going to the emergency room and having them check my vitals. The actual procedure to get rid of the cyst only cost a little over $500. I got on the phone with my insurance company and learned that during that time the procedure had taken place, I was being reinstated back onto my insurance. Therefore, I wasn’t covered for that procedure. I had to pay for everything out of pocket on an internship/freelancing budget, which meant draining my little cash stash that I was saving for a mini-vacation. That was the first ugly cry. Another ugly cry came when I saw that all of the money had been withdrawn from my bank account. That one was more of a concealed cry because I was on a subway station and wanted to see if I had enough in my account for a MetroCard the coming week. The next ugly cry was when my monthly MetroCard expired and I had to shell out $121 before I had been paid for an article. I wanted to buy extra groceries and couldn’t; I needed to buy a dress for my cousin’s upcoming wedding and felt like I was running out of options for what I could purchase. An editor who had offered to pay me for an essay that spring hadn’t gotten back to me after several months. One less paid gig. One more sleepless night of pitching. A fourth ugly cry came while sitting on my bed at two in the morning with yet another headache and chest pain that hasn’t gone away after my third cold of the year. 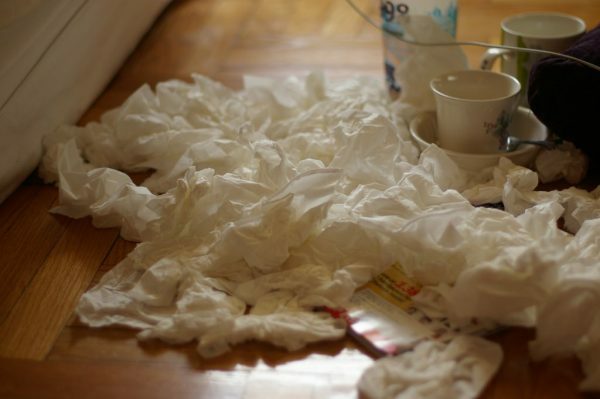 Being sick so often had made it harder to freelance and keep on top of assignments. I couldn’t run around taking photos if I was exhausted. I couldn’t interview sources over the phone or in person if I was coughing up my lungs or had constantly watery eyes from the sinus pressure. I can’t talk or take notes when I have panic attacks triggered by stress or pain. I regretted that particular cry because it just made my headache worse and got snot everywhere. I had to get up out of bed and clean my face. This wasn’t how I had imagined 2017 would be. It was certainly better than 2016 had been, but I still felt stuck. Things are looking up, though. I was able to snag two transcriptions and translation gigs that, combined, brought in over $300. I wasn’t sick at all this June, so I’ve begun to pick projects back up again and start pitching ideas to editors. I’ve also begun to send out even more job applications, along with inquiring about freelance positions and fellowships. I’ve been able to snag a few more hundred dollars in side gigs to help things along until a job becomes a possibility. This is the first year that money has made me shed so many tears within the span of six months. There may still be ugly crying to come—but I’ll also keep working and searching for new projects. I’ll learn how to work smarter and not necessarily harder so that I actually give myself some time to rest. The next time I miss out on a gig or get an unexpected bill I’ll be ready for the tears, and the work I’ll have to do to make up the lost money. I’ll also have more tissues near me this time around. A native New Yorker, a sometimes writer. Follow and connect on Twitter@angelymercado.